"It is time for your bread to multiply; but that takes a genuine attitude of thanksgiving." When you give a child hope, you change the world, Due to a lack of funds, children that had to be sent to school and children with AIDS that need special care their tap water has been cut and they are down to one meal a day, about to totally run out of food.. The smallest donation will make a huge difference. If you think $5 will not make a difference, it will. If you can help with more, please do. 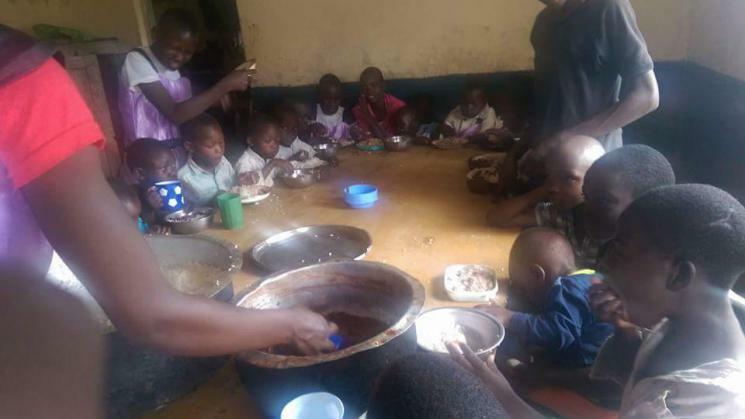 Be a blessing to Merciful Hearts Orphanage today, be a blessing to these innocent children, give them a reason to smile, we to invite you to a great fundraising to raise funds to get food that will help sustain the Children at the orphanage get medication, school fees, clothing and other raising needs for the children. We also want to start our own planting of crops to help with food, but that also requires money. Take a step of faith today and share your bread with Merciful Hearts Orphans kids. Every dollar will go to these children. Please consider donating today! Thank you and God bless.